It is tough to filter out the best Minecraft skins when there exist various good skins for Minecraft by thousands of users/designers. You will probably find a ton of new Minecraft skins every day around. Being a sandbox game, Minecraft provides an incredible experience. However, getting one of the best Minecraft skins could make a huge difference while playing the game – especially for PvP sessions. The Minecraft skins you choose could give you advantages over your opponent. You will find a lot of perfect free Minecraft skins around; time is all you need to filter them out! To save your time, we have listed out some of the best Minecraft skins, or you can utilize a Minecraft skin editor to customize it further. Keeping the advantages of Minecraft skins aside, let us take a look at 20 of the best Minecraft skins available out there. Wouldn’t you be hyped to have one of the richest superheroes as a Minecraft gaming character? Of course, you must be! Although it would not give you combat benefits, it will still look powerful than any other normal Minecraft characters out there. Did I mention something about power? 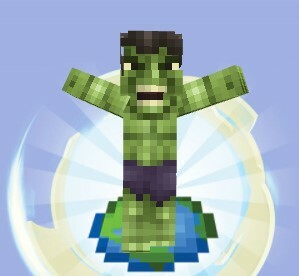 Well, the Hulk skin for Minecraft is all about smashing the blocks! Well, not exactly, but you can easily scare off the enemies in PvP mode. 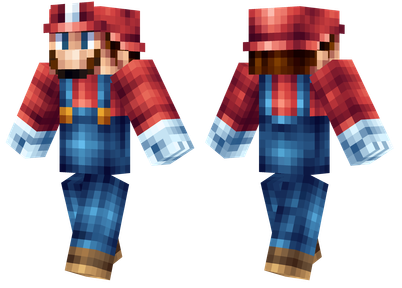 To clear some confusions, we would like to mention that this Minecraft skin does not make you look bigger in size. However, you will notice Hulk’s mouth opening and closing as you navigate your mouse up and down. Too much of boy stuff? Rejoice, beautiful ladies and girls! 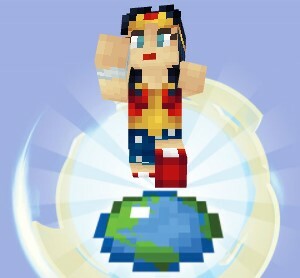 You’ve got a pretty wonder woman Minecraft skin to complement your sandbox world. 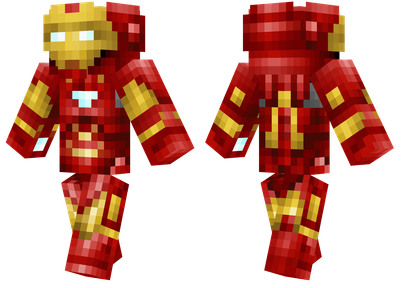 Similar to other Minecraft skins, you don’t get combative advantages with this skin for Minecraft but no one messes around with Wonder Woman, eh? How on earth can someone forget Deadpool? 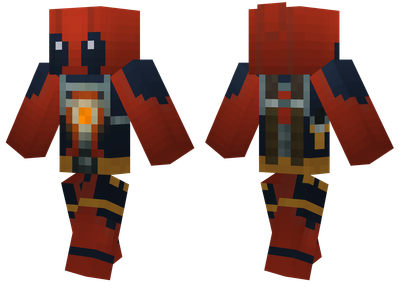 The Deadpool skin for Minecraft is one of the most loved Minecraft skins available. Just like the Movie, you will easily grab the attention of your fellow Minecraft users while wandering around. Unique Minecraft skins could come with an interesting idea. So, it has to be a custom-made character or just creating a skin without thinking about a thing! When you look like a gumball machine, it’s easy to get attention. Also, you would not believe me (if not experience), that this Minecraft skin offers camouflage advantages. No one would even know you are there! One would just ignore you by thinking of you as a peculiar object! The Ice Princess is a beautiful looking Minecraft gaming character. 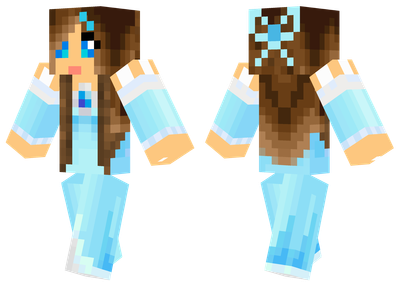 If you are a girl or simply looking for a pretty Minecraft skin that gets attention more than Deadpool, Ice Princess is the way to go! With Pencil skin for Minecraft, you are not a character here! You are a creative tool! You can just stand still to flaunt your design! 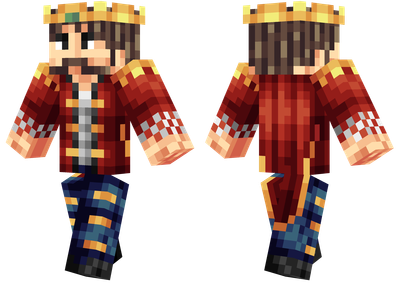 If there’s a beautiful looking Minecraft skin for a lady, we have a handsome skin for guys as well! With this applied, you reflect a finer personality with a good look and responsibility. Isn’t Super Mario the most popular gaming character on the earth? 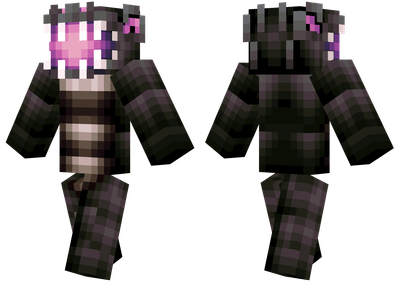 You will surely root for this character’s skin in a classic environment like Minecraft. 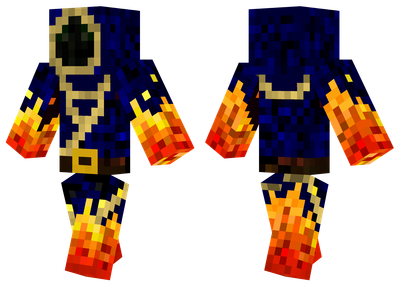 You can be lively and playful after you apply this Minecraft skin to your character! Tetris is the best-selling game in the history! Isn’t it your favorite? Well, you can completely transform yourself into a collection of Tetris patterns while looking cool at the same time. It’s a shiny skin for Minecraft indeed! Well, possibly, scare yourself as well! 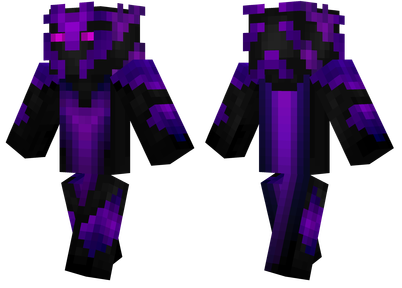 Ender Warlord is a dangerous looking Minecraft character that might trick your opponents that you have some super powers with invincibility. Deriving its existence from the character above, it is a more interactive skin for Minecraft. 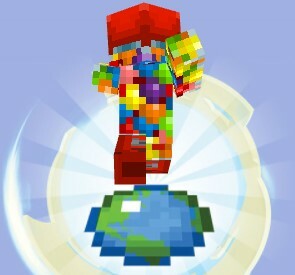 The head glows according to your mouse navigation and the environment you are in. It might look dangerous at times and very cool at others! 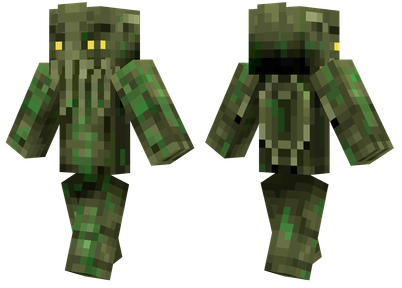 Cthulhu is one of the dangerous sea monster skin available for Minecraft. It reflects a badass personality in the Minecraft world. 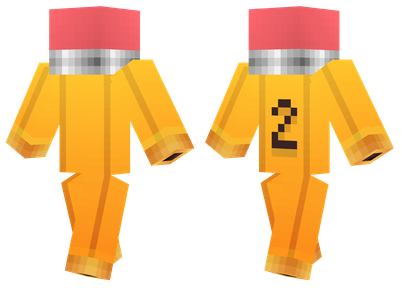 Could you modify it with a Minecraft skin editor for some interesting color shades or eyes? Also Read: Clash of Clans Cheats: How to Get Free Gems for Clash of Clans? Get equipped with the latest and greatest weapons? 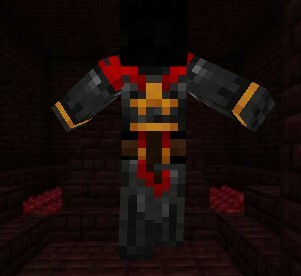 With this Minecraft skin applied, you can get all the glory a modern warrior receives. You look dangerous, cool, and up to date! Interested in a fiercely looking Minecraft character? Here it is! You get a feeling of rage with this skin for Minecraft applied. Do you want to have a secret identity with mystical powers? The Disciple of D’sparil is a classic warrior with magical powers to make you run for your life! The popular organization taking responsibility against privacy invasion presents the symbol of anonymity. 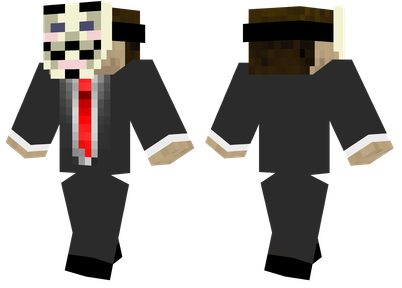 If you like the same, you can reflect it back with the Anonymous character in Minecraft. 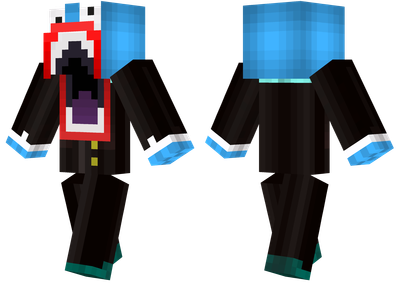 This Minecraft skin also looks cool enough with a tie! Lazor is yet another sensational character with fine suits! Here, you have a big mouth, fine clothing, and what more do you want?? Did you count the sheep in Minecraft? Well, if that interests you, the animal Minecraft skins are also something to try out! There’s possibly nothing better than a Panda incorporated into a two-hand – two-legged human character. It looks cute, fluffy, and is adorable. 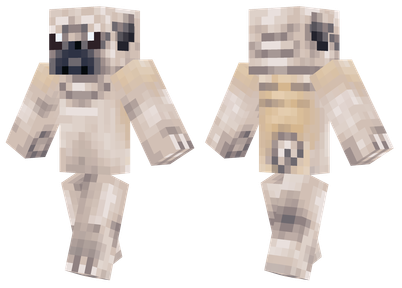 Pug is one of the best Minecraft skins loved by most of the users for its flat-faced look. 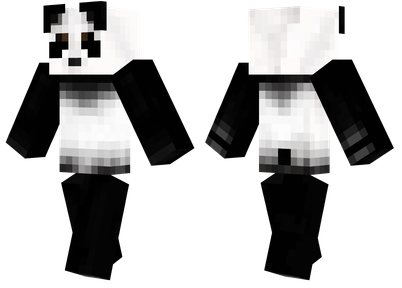 You can make yourself look dumb or cute with this skin for Minecraft applied. So, these are the best Minecraft skins available that will give you advantages and a better avatar look as well. 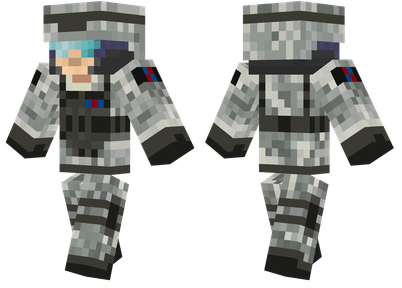 Unquestionably, there are tons more skins for Minecraft out there. 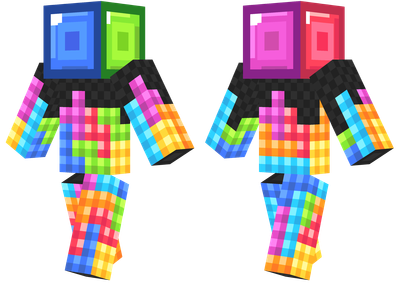 We would like you to let us know about your favorite Minecraft skins available. In either case, if you have utilized a Minecraft skin creator, you can share that with us too! Previous: How to Reset Data Usage on iPhone and Android Phone?